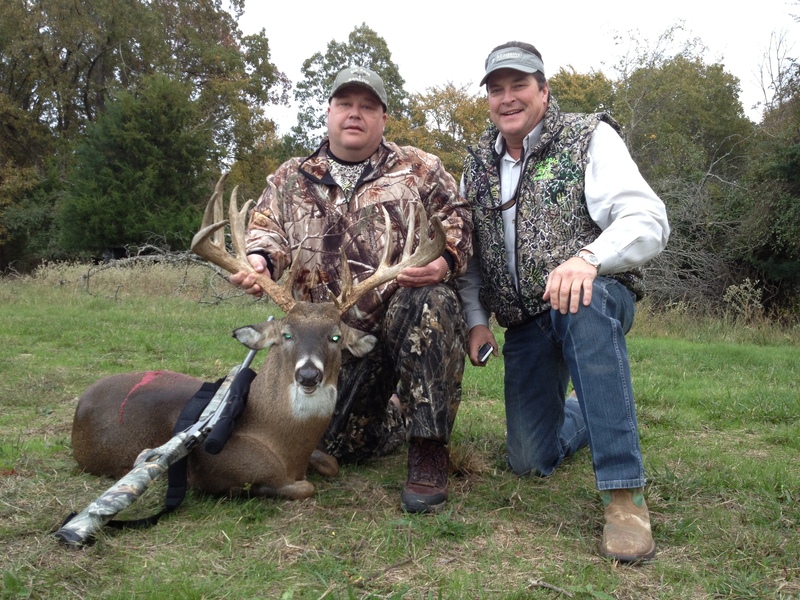 Whitetail Facts - Offering hunting, camping, fishing, trail rides, hay rides, walking trailes, and just plain ol' relaxation.Offering hunting, camping, fishing, trail rides, hay rides, walking trailes, and just plain ol' relaxation. MALE: (Buck) Grows antlers from its forehead (pedicles) by late August. Spar for mating rights during rutting (mating seasons usually October-December). Antlers drop off during winter months. FEMALE: (Doe) Has no antlers- Usually gives birth to twins. Hides its newborn offspring (fawns) separately to protect from predators. Features- Long tail, white underside, forward arching antlers. Coloring- (summer) chestnut-red, (winter) grey-brown. Habitat- Forests, swamp edges, wooded riverbanks. Food- Consumes 10-20 pounds of twigs, leaves, plants & some grasses each day when food is plentiful. Whitetails survival is augmented by its adaptability and its innate sense of caution and alertness. Sensitive hearing and an acute sense of smell help to forewarn of enemies. Whitetails natural enemies are wolves, coyotes, cougars and bobcats. Unless it's in immediate danger, it moves stealthily and silently. They can move through brush or brittle leaves without a sound, or remain motionless for periods of time, depending on the natural camouflage to hide them. When they must flee, they do so with 3 or 4 quick bounds, then a high leap with their tails wagging or held high to reveal the white hairs on the buttocks and on the under side of tail. Whitetails can gallop at 30 miles an hour through rugged woodlands.